The City of St Albert has recently begun the process of developing Complete Streets guidelines and an implementation strategy. The first open house was held on November 15th 2017, to identify the community’s priorities and draft goals for the project. This process aims to achieve the vision and objectives highlighted in the 2015 Transportation Master Plan. The most recent street improvements in the City is the realignment of St Anne Street. 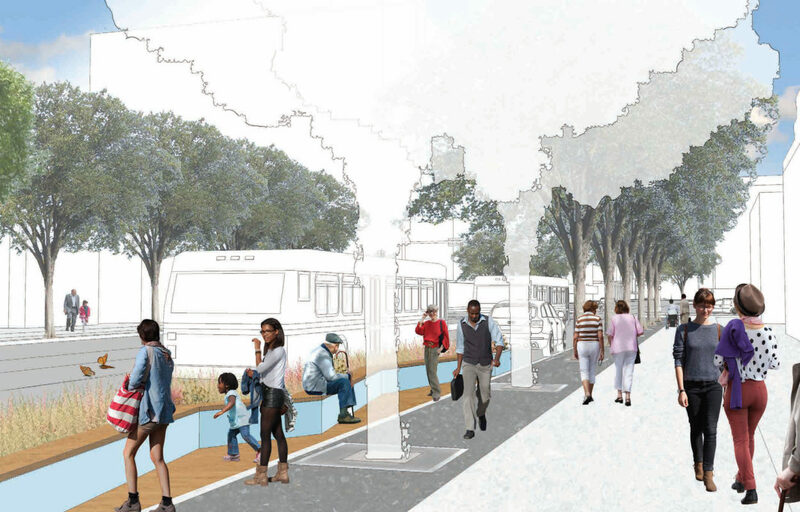 The project aims at creating a balanced street for all modes of transportation, enhancing public realm and safety, and promoting Millennium Square and Lions Park as focal points of the downtown. The street realignment is the strategic first phase of St. Albert’s Downtown Area Redevelopment Plan, to enhance the development and attractiveness of St Albert’s Downtown. The progressive approach by the City provides a great example of how small to medium sized cities can begin to incorporate Complete Streets within their objectives and policy. The St. Albert Gazette published an article on Nov 28, 2017 featuring an interview with the Transportation Manager of the City of St. Albert on their Complete Streets process.